This spring, FFG DMC announced the launch of the DT420DH, a new dual head tapping centre to complement their ever growing range of quality high precision machine tools. 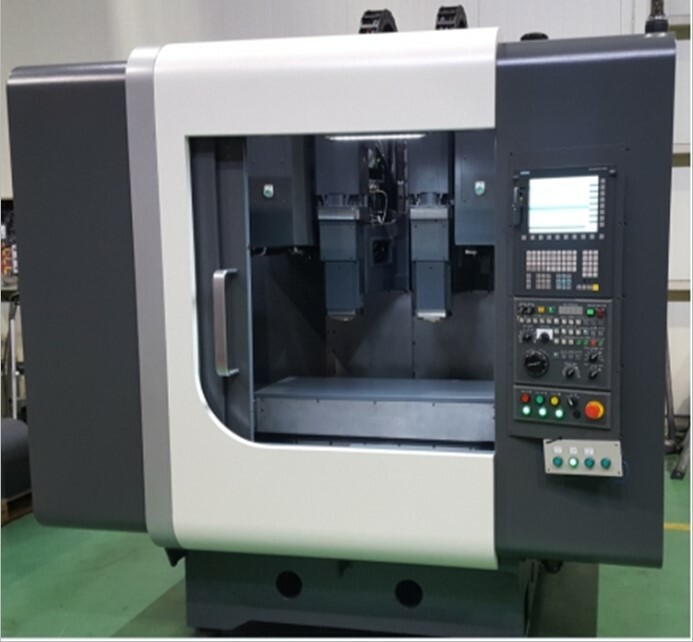 The DT420DH dual head model is a new addition to the range of well-established DT range of high speed drill/tap centres supplied by DMC, a company within the FFG Group, one of the largest suppliers of machine tools worldwide. Leader CNC has a proven track record with DMC with many UK installations, including horizontal and vertical CNC lathes, machining centres and robotic cells. 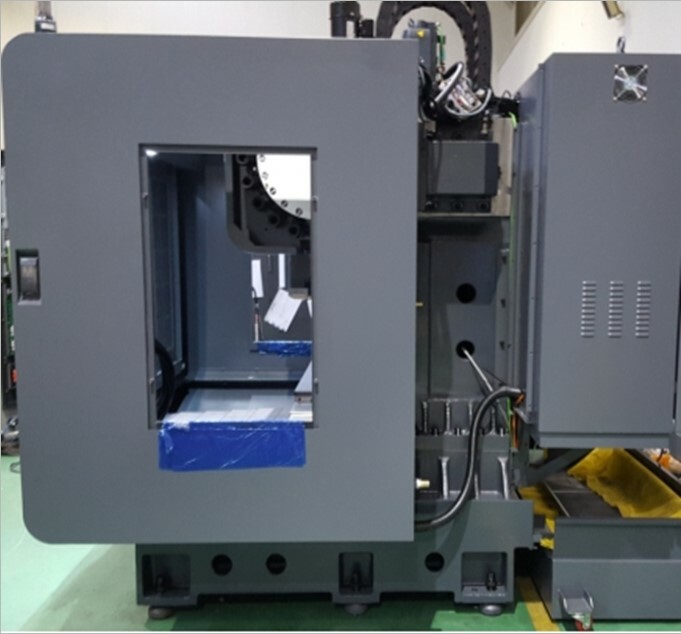 The new machine has been designed to allow simultaneous machining of components mounted on a large common table, providing the user with increased productivity in a reduced installation area, together with a considerable saving on the cost of machine tools. The DT420DH has fast rapid traverse rates, high speed spindles, high power motors and a large tool capacity, all designed to provide maximum cutting capability. The twin columns house independent Z axis drives and spindle carriers which, unlike other fixed twin-spindle machines, provide flexibility in both Z axis positioning and spindle speeds. This independent control of both spindles in the vertical plane overcomes the issue of having to locate fixtures to micron accuracy. Additionally, through programming and use of tool offsets, cutting depth is easily controlled and differences in tool lengths can be compensated. To ensure efficient and quick evacuation of swarf, which causes heat to build up within the machine, the inner work area is protected by inclined splash guards and covers which concentrate debris into a base that has been designed to quickly wash away chips into the lift-up conveyor. To give the user more choice, the DT420DH is available with either Siemens 828D, Mitsubishi M80 or Fanuc Oi-MF CNC control systems. For more information on the FFG DMC range visit the products page for more details or follow us on Twitter, Facebook or Linkedin.